We're finally settling into our new home, but it's been (and still is) tough -- and ongoing. I'll talk about that in another post pretty soon. 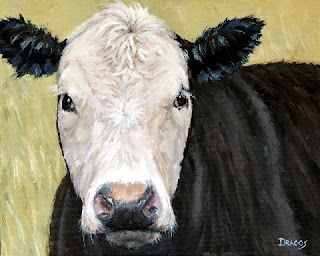 This is a painting I did of a black Angus cow that I think is a beautiful creature. Now that I'm living in the country (five minutes from town! ), I have cows as neighbors. This little guy I just fell in love with. He's very shy, but I have sat outside his field and visited with him enough that he now will come up fairly close to me to graze. Up until a few days ago, he was in a field all alone. 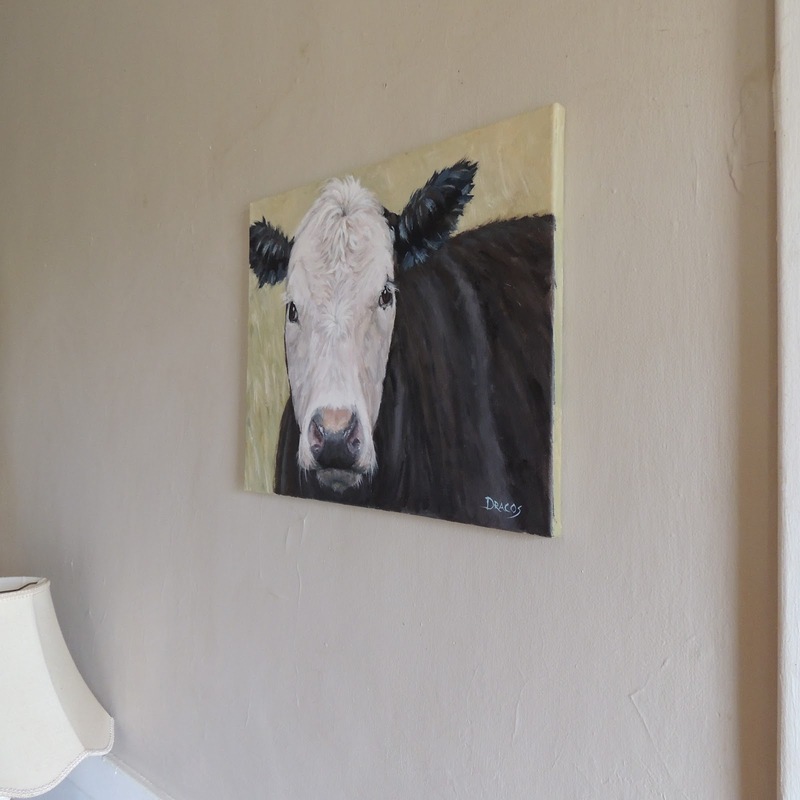 Now, there are many other cows there with him, so I think he's not so lonely anymore. The original acrylic 16x20x3/4" stretched canvas painting (along with prints) is available on Etsy; so if you're interested, drop by for a closer look.